La Fortuna is one of the more popular regions in Costa Rica, and with good reason. With its close proximity to the country’s most popular volcano, Arenal, there is no shortage of activities and things to do. Yet in spite of its popularity, La Fortuna maintains a local feel without all of the pricey tourist traps. There is a visible integration of passing visitors with resident Ticos who are going about their everyday life. Whether you want a luxurious vacation with resort style thermal springs or an “off-the-beaten-path” vacation filled with budget-friendly activities, both options are viable. Check out our list of recommended activities and create an itinerary to meet your preferences. Arenal is the most popular and well-recognized of Costa Rica’s volcanoes. When it unexpectedly erupted in 1968, Arenal spewed lava, rocks, and dust for 15 days. The devastating eruption killed 73 people and buried three communities including the original towns of Arenal and Tronadora. Until recently, it was the country’s most active volcano with an average of 41 eruptions a day, and it is still considered one of the 20 most active volcanoes in the world. Jokingly, our innkeeper told us that should Arenal erupt during our stay, the escape route is to “just run”. Although Arenal has been considered dormant since 2010, visitors are not allowed to summit the volcano due to the presence of toxic fumes. A 4km exclusion zone was created and access to the crater is permitted only to scientists and park officials. There are, however, several hiking trails around the volcano’s base located throughout Arenal National Park. You can purchase a hiking pass for $15 or you may also join a guided tour. We happened across an American expat named Chris who runs Sagu Hostel in La Fortuna. He gave us a few recommendations for bundle tours in the area and we ended up booking a bundle tour for the Arenal Observatory hike and free hot springs at Tabaconcinto. As a side note, we highly recommend paying Chris a visit. We price compared several tour agencies offering similar packages and Chris always offered the best price and honest feedback which we greatly appreciated. Hiking through Arenal National Park. During breakfast one morning, a British couple sat beside us to enjoy their beans, rice, and plantains. Making a friendly conversation, I asked where they had been in the area and if they had any recommendations. She mentioned that Cerro Chato is a volcano neighboring the more popular Arenal Volcano. This one, however, was recently closed to the public so they no longer offer guided tours. Despite this, you can still access the trail, as long as you are able to navigate the now overgrown and barely visible path. They didn’t leave without warning me of the intense difficulty of the climb due to the steep incline and poor quality of the trail. That sounded like a challenge to me. We took off in the direction of the volcano. Not really knowing where to go, we just started climbing up. We found a little cow trail weaving up the hills between the tall grass. It was the only thing resembling a path so we figured it must be right. We finally reached the borderline where farmable land met untamed and wild rainforest. With a deep breath, we pushed back the vines and walked in. For 3 hours we climbed, stepping over roots, swatting away overgrown vines, slipping on the slick mud, and climbing vertically on all fours. The fog began to set in as we reached higher altitudes. Finally, we arrived at the top, success! Our exhausted excitement was cut short by the sound of a pitter-patter running toward us. There was a guy running full speed toward us on the same trail which we just came from. We both panicked thinking, “oh no, we broke some trespassing law and he followed us!” The Aussie trail runner, ran past us saying “ay there”. No shortness of breath. No nothing. Just a big smile as he leisurely passed us on this so-called “extremely difficult” hike. Ego shot. Our unguided adventure up Cerro Chato. Please Note: This trail is closed to the public due to the dangerous condition of the trail. If you do decide to venture up this mountain anyway, exercise caution and respect the area. Cerro Chato is home to diverse wildlife and fauna, therefore leave no trace. Mistico Arenal Hanging Bridges Park sits on 600 acres of private land filled with rich biodiversity. 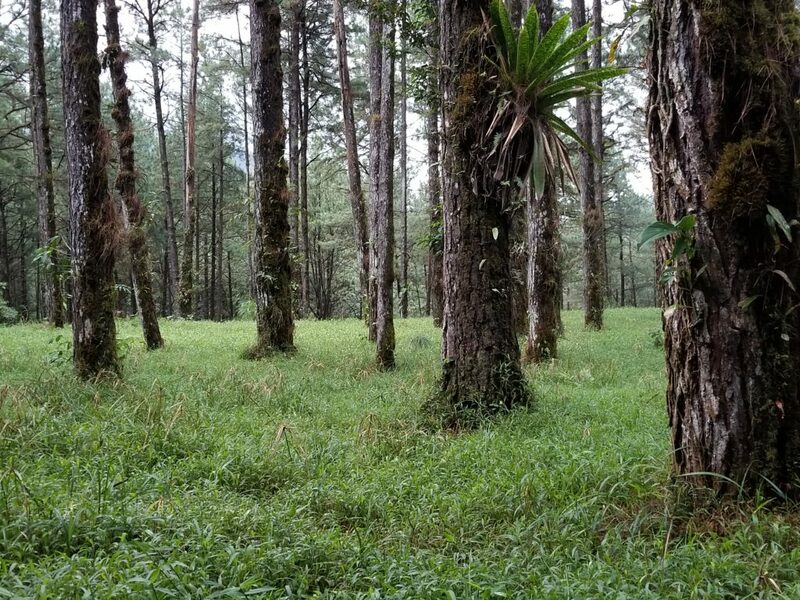 With the mission to “protect flora and fauna while offering visitors a safe environment to discover the rainforest in a sustainable way”, Mistico is an ideal adventure for those interested in sustainable eco-tourism. In addition to 2 miles (3.2 km) of trails and 16 bridges, Mistico boasts a number of other activities including zip lining, rappelling, horseback riding, and bird watching. These activities all provide some amazing views of Arenal Volcano from the hanging bridges. 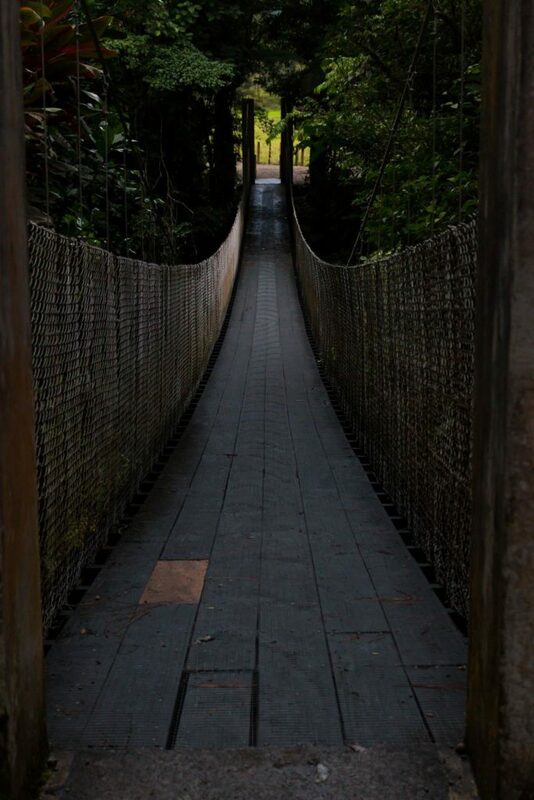 If you are unable to make it to Mistico, the Cloud Forest in Monteverde is another popular destination for hanging bridges. Arenal scooter rental allows you to rent by the hour so that you are free to explore all of the back roads and neighboring towns. It is the perfect way to spend the day exploring unknown areas without a structured tour. Grab a scooter and just start driving with no destination in mind. Sometimes the best adventures come from unplanned spontaneity. Insider tip: Many websites note the high price of taxis and therefore recommend renting a scooter for the duration of your stay to get around. I personally think this “high price” is only if you plan on taking a taxi everywhere you go. We only paid $5 for a 12-minute ride for the both of us. That is way cheaper than New York City, that’s for sure. Aside from the one taxi we took, tours would pick us up directly from our Airbnb, and everywhere else, we would just walk. Arenal and La Fortuna offer some of the world’s best whitewater rafting and kayaking rivers ranging from class II to V. White water rafting sounds a little intimidating? You can hop into your own inner tube and drift freely down class I and II rapids. Still looking for something a bit calmer? La Fortuna also provides the unique opportunity to experience a safari by boat. Whether you are a beginner or expert, there are plenty of companies and guides who are ready to take you out on the water. 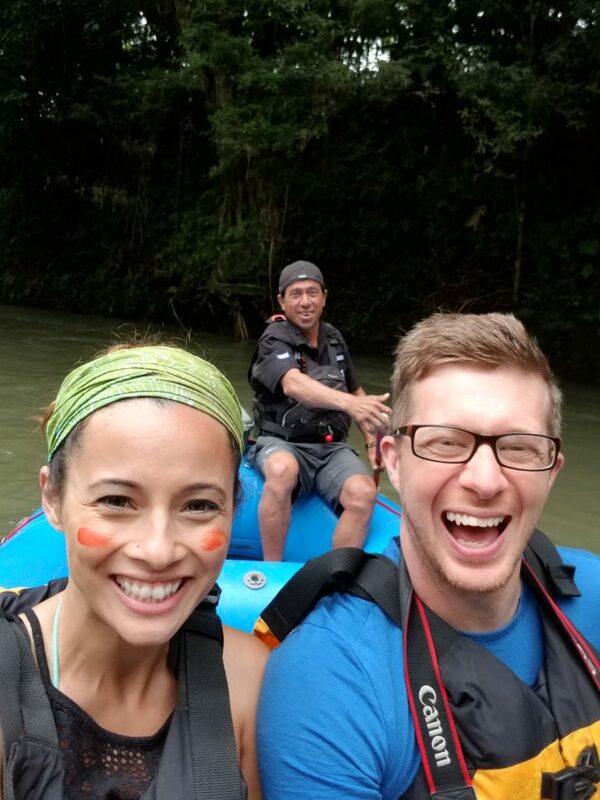 Having just finished a very strenuous hike the same morning, Scott and I decided to have a more relaxing experience so we opted for the safari by boat with Costa Rica Descents. Prior to our safari, José (Bollo), showed us around their in-house gardens. Now I’m not huge into agriculture, but I couldn’t help but be impressed by his great knowledge and respect for nature. His uncle was a shaman in one of the villages, and having grown up under his guidance, Bollo had an incredible insight into the cultural use of specific plants. In fact, he showed me one flower which was used by the women for makeup, as you can see below. I can’t remember the name of the plant for the life of me, but it sure did stay on my face for two solid days! Safari by boat with our amazing tour guide, Bollo! 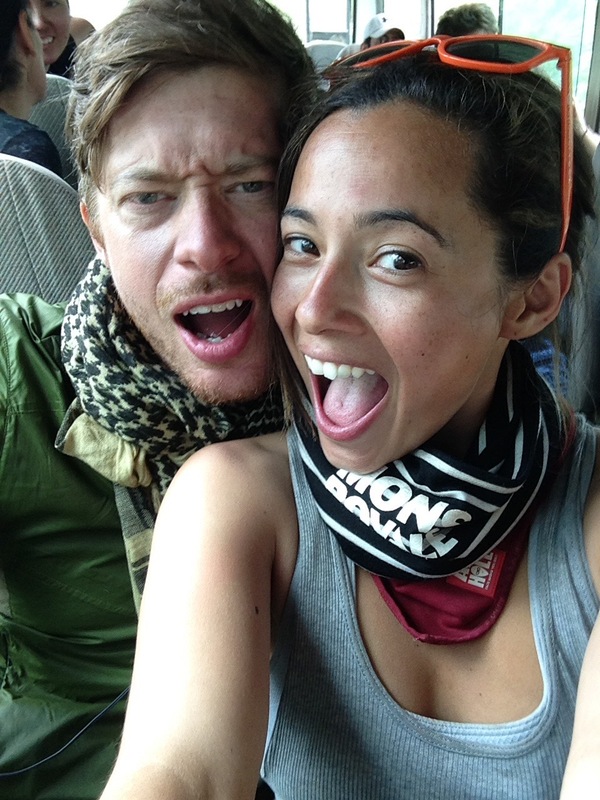 We headed out to Peñas Blancas River for our safari. Despite the cold and rainy weather, Bollo was able to track down iguanas, monkeys, birds, AND sloths. He has a howler monkey call, like nothing I’ve ever heard. It is amazing and no doubt was the reason we got to see the monkeys. Definitely book with CR Descents and ask for José (Bollo)! While we only booked the Safari by Raft with CR Descents, it wasn’t until after we left that I learned they also have a cooking school! You would think that our favorite meal in Costa Rica would have been with one of the touristy restaurants or local sodas, but hands down, the best meal we had was with Costa Rica Descents. Everything was made fresh from produce cultivated on their organic farm. The greens were crisp, the meat was tender and full of flavor, and the seasoning was just perfect. If there is anywhere I would recommend taking a local cooking class, it would be here. They know how to cook! Spotting sloths can be difficult for the untrained eye. 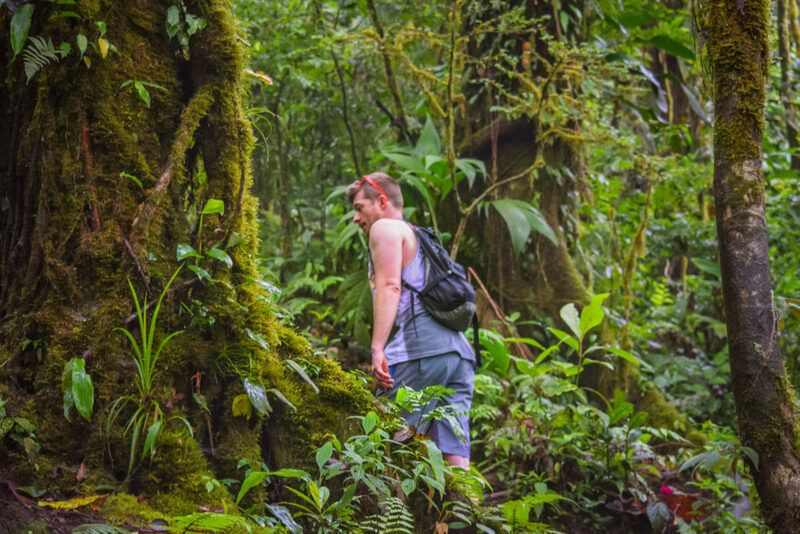 As we walked through Arenal Volcano National Park, Scott and I were determined to find a sloth in the wild. We walked at a snail’s pace, looking up toward the trees, and listening for rustling branches. Nothing. After we finished our safari by boat, we were driving back toward our hotel when Bollo said “stop the car. There!” We pulled over and walked over 100 feet away to a group of trees where he pointed out a 2-toed sloth nursing its baby in a tree. Again, on the one taxi ride we took while in La Fortuna, our driver pulled over smiling and pointing toward the trees he said “Perezosos”. How in the world they could spot these perfectly camouflaged animals so easily, I have no idea! We were not so good at spotting sloths on our own, but maybe you will have better luck. You may want to look into the Bogarin Trail also known as La Fortuna Sloth Trail. 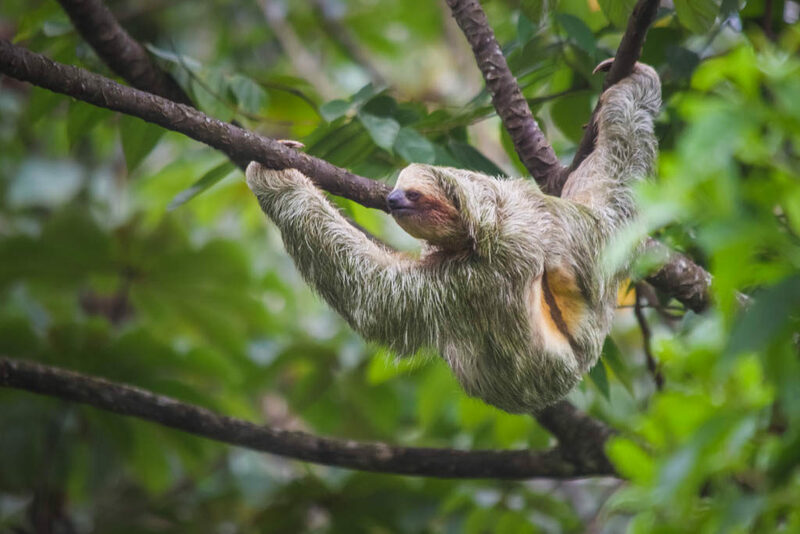 If you want to guarantee a sloth sighting, check out our article on sustainable sloth encounters where we recommend local rescues working to rehabilitate and release these fuzzy friends. One of the many many iguanas at the Iguana Bridge. Visiting Iguana Bridge was an extra surprise which our tour guide at Costa Rican Descents threw in for us. This isn’t part of a tour, nor is it some popular tourist attraction. It is just an incredible occurrence hidden away in plain sight. 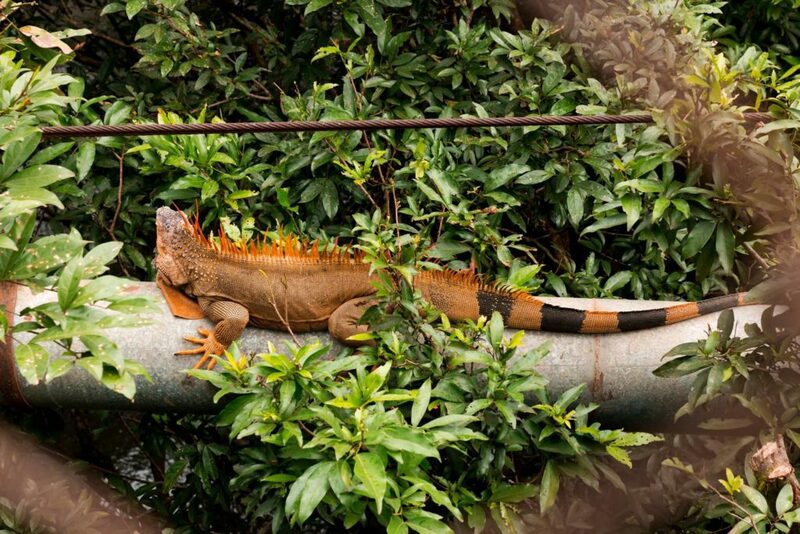 Somewhere between La Fortuna and La Marina is a small bridge which is home to more than 200 iguanas. These are no iguanas that you see in the pet store, they are massive and brightly colored creatures sprawled out along the ground and sunbathing in the trees. You can actually get very close to marvel at these wild iguanas enjoying themselves in their own element. It was an incredible experience and we are so grateful to our guide Bollo for treating us to this memorable surprise. With its close proximity to the largest volcano in the country, La Fortuna has multiple hot springs which are naturally heated by Arenal volcano’s thermal energy. These waters are rich in minerals and have been used as therapeutic baths for more than 2 hundred years. The highly photographed Tabacon Grand Spa Thermal Resort does not use any pumps or re-heating systems but relies on the completely natural hot spring that already exists within the property. The Springs Resort and Spa and Baldi Hot Springs are two other private properties where you can relax with a more luxurious vibe. EcoTermales is a family operated property and not part of a large resort. Because there is a limit to the number of guests permitted entry, you may be able to find a bit more peace and privacy in this atmosphere. Titoku hot springs is also a smaller location with a maximum of 80 people. located near the Arenal Observatory Lodge, however, it is not part of the resort and is free for the public to use. Just stop in the Observatory and the staff would be happy to provide directions. The second is Tabaconcito. Across from the main entrance to Tabacon Grand Spa is a small parking area. 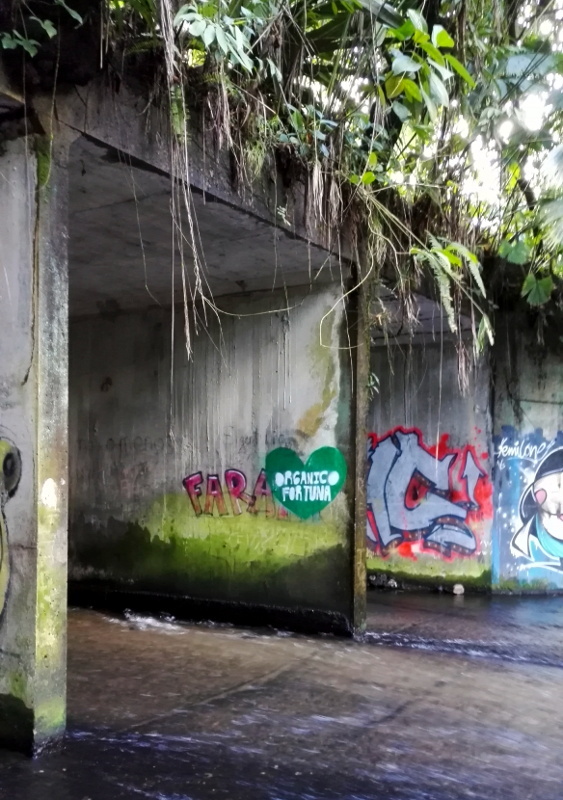 Follow the small path by the road which leads down under the bridge where route 142 crosses the Río Tabacón, then bam, you’re there! Tell any taxi driver “Tabaconcito” and they should know where it is, given its popularity with the locals. We visited Tabaconcito as part of a tour which was recommended by Chris from Sagu Hostel. After hiking around the Arenal Observatory, our group of 30 or so climbed down into the free hot springs. Our guide provided us with some sort of neon yellow cocktail served from a 2-liter soda bottle, along with a handful of nutrient-rich volcanic mud to place on our faces as a mask. We laughed at the irony of basking in the free hot springs with cocktails and mud masks, only feet away from the very pricey Tabacon resort. It was a funny juxtaposition, yet an incredible memory. Surrounded by our new friends from Germany, Sweden, and Brazil, we toasted together in this wonderful moment. With its soil rich in organic volcanic material, La Fortuna is a haven for agriculture and crops. It is the ideal place to experience the traditional method of planting, growing and harvesting crops like coffee and cocoa. Locally run businesses such as North Fields Coffee Tour will take you around small family farms where you can learn about the process while enjoying a steaming cup of fresh coffee. 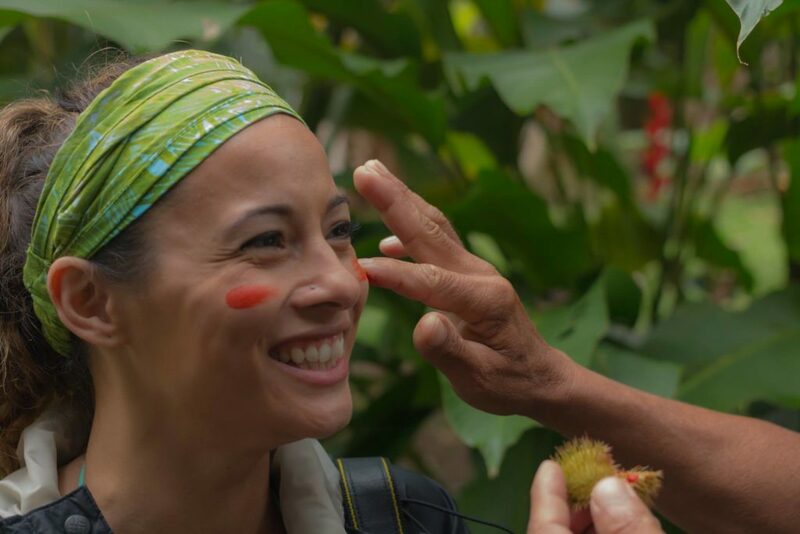 The Rainforest Chocolate Tour will take you through a 1.5-hour hands-on program where you can learn about the origin and history of Costa Rican chocolate, while participating in the production process, and of course, sampling the divine organic sweet. This majestic 200 ft waterfall is a must-see attraction for the town. Upon entering La Fortuna Waterfall Ecological Reserve, you will cross a bridge which gives the perfect vantage point for viewing the surrounding lush landscape. A 480 step hike awaits you in order to journey down to the waterfall where you can take a dip in the refreshing blue water. The $15 entrance fee goes to support local infrastructure projects and community activities. If you still have some time, take a stroll across the street to view Cerro Chato, the sister volcano to Arenal. Spelunking in Venado Caves is a hidden jewel among Costa Rican visitors. Explore an underground world of limestone channels nearly 20 million years old. This adventure tour brings you 8,850 feet into the earth where you will wade through an underground river, and crawl through rock formations to awe at the stalactites, stalagmites, and a kingdom of subterranean animals. You will definitely get muddy. Lake Arenal is the largest landlocked body of water in the country, covering nearly 33 square miles and reaching as far as 200 feet (60m) in depth. Naturally, it has now become a prime destination for water sports including stand-up paddle boarding, fishing, kayaking, and sunset cruises. Check out Desafio Adventure Company for exclusive water adventure packages. We hope this list has been a helpful resource for you. Have we missed anything important? 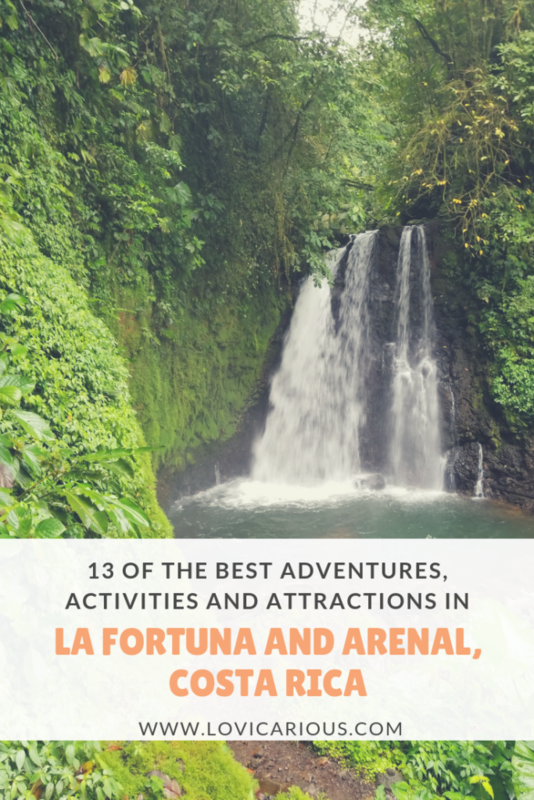 Please feel free to comment below with additional attractions, “can’t miss” activities, favorite restaurants, or any helpful tips that may assist our fellow adventure travelers in planning the perfect vacation in La Fortuna. This sounds like the IDEAL trip to Costa Rica! Hitting all the essentials. I loooove the idea of doing a cooking class abroad – definitely going to start doing that.